Enthusiasm for Beer is a worldwide adventure - not for the faint-hearted, but for those who seize life and live it with zest! You have spice in your soul – why not spread the pleasure of beer, good cheer and brewing with this fine selection of BellaOnline Recommended products, books, and services. The Beer Fox has reviewed these items for quality and value, and chooses them as the crème de la crème for Beer Lovers, whether you are new-to-the-brew or a seasoned enthusiast. Micro Beer Club is easy, offers variety, high quality and versatility, and you will delight in knowing that you have given a gift that is greatly appreciated…and remember to treat yourself! Located in Seattle, Washington, Micro Brew Club is highly experienced and has been serving the needs of beer and wine enthusiasts since 1995.For online information, click here. Homebrewing - A sense of the mysterious floats around the brewpot, while the artist closes her eyes to envision the aromas and flavors of the most provocative ale she might conjure up. 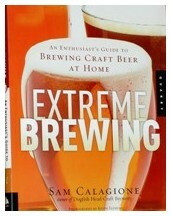 A collection of books for the Novice Brewer can be found in the article Homebrew Tips for the Novice Brewer. The homebrewer has a wealth of resources available for success in zymurgy - The American Homebrewers Association, local brew clubs and books written by experts in the field - all easily accessed and available for anyone who wants to try their hand at this amazingly addictive habit. Sacred and Herbal Healing Beers – The Secrets of Ancient Fermentation by Stephen Harrod Buhner - Is Beer the Secret Spice of Life ? - Discover the secrets of herbs and spices, crafted into beers with tantalizing results. 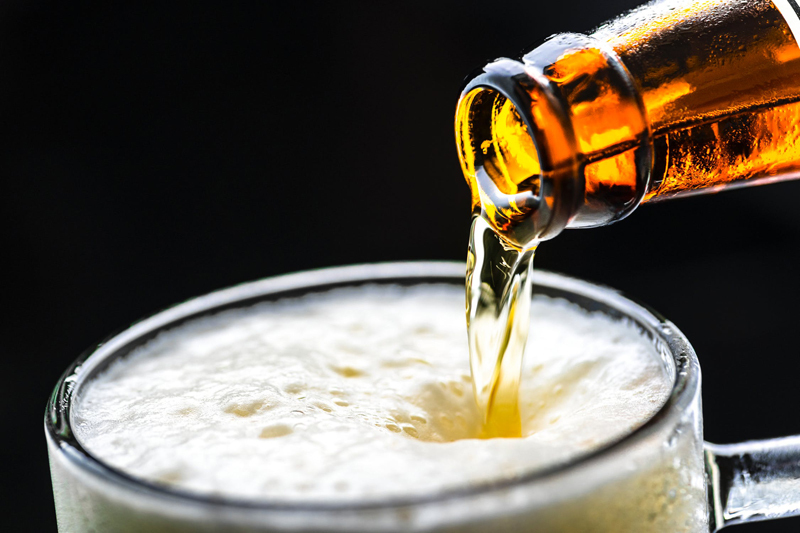 Read full review of Sacred and Herbal Healing Beers – The Secrets of Ancient Fermentation in Article Is Beer the Secret Spice of Life ? Sam Calagione covers the basics of brewing with a charismatic flair for titillating your senses. Textually, he presents brewing beer as an art form, but one that can be successfully done by anyone who has the desire to do so. For the novice or the connoisseur, Whiskey – The Definitive World Guide is an adventure into the realm of spirits. It is impossible to peruse the pages without a feeling of awe, inspired by the magnificence, history, development and flavor profiles bestowed upon the amber gem. Winner of the James Beard Award! Garrett Oliver of Brooklyn Brewery is internationally recognized as an expert in traditional beer styles and food-beer pairings. In The Brewmaster´s Table - Discovering the Pleasures of Real Beer with Real Food, he entertains the beer lover with his passion for epicurean pleasure. Is hopheadism curable? What is the soul of beer? Who has the most power in the American brewing industry? Ken Wells explores a "River of Beer" and the contemporary Beer Scene in his newest book, Travels With Barley - A Journey Through Beer Culture in America. His passion is so intense that it spills out of his heart and into the pages of his book, where it can be shared with other passionate entrepreneurs. Maureen Ogle recounted her own life story – one that had teetered on the edge of failure before developing into a colorful palette beneath a historian’s analytical pen, the fuel that gave power to her newest book, "Ambitious Brew – The Story of American Beer." Two years after this was awarded the James Beard Award in New York City, the compulsion overtook me. 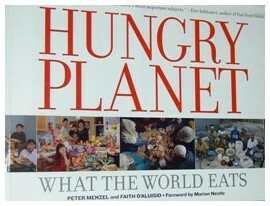 Hungry Planet: What the World Eats stood on the shelf at my local bookshop, tempting me with what lived within the covers. This masterful display of “What the World Eats,” is so alive that, as I read, I become a participant in every global society through which we pass. 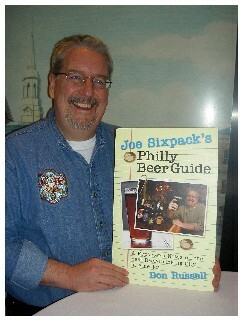 Whether you love beer or think you hate it, no trip to Philadelphia should be made without a copy of Joe Sixpack’s Philly Beer Guide in hand. “Joe Sixpack’s Philly Beer Guide: A Reporter’s Notes on the Best Beer-Drinking City in America” is full of Philadelphia tough-guy attitude, while spouting rivers of information about beer in the city, the suburbs, and at the shore. 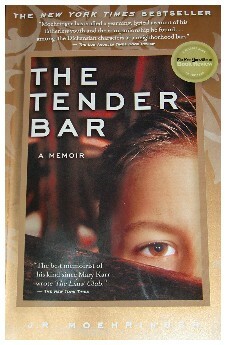 JR Moehringer's simple words drew me into the pages, as if through the door of that Tender Bar: "We went there for everything we needed. We went there when thirsty, of course, and when hungry, and when dead tired. We went there when happy, to celebrate, and when sad, to sulk..." Who could resist following JR Moehringer into the haven that was to teach him about life, accept him, bruise him, and lick his wounds? Let us all join with Sebastian Dangerfield to rear up in horror at the abominable way in which society treats its antiheroes! Such a rascal is Dangerfield - a drunken womanizer, a leech and a lech, a brilliant schemer, self-righteous prude, a man in decline, yet rising up, each time, from the bowels of hell through a catharsis of his own wit and imagination. 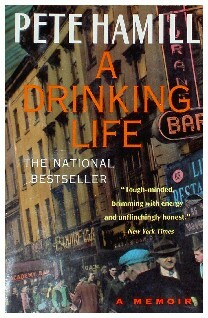 In my quest for chronicles that detail the often entwined aspects of drink and journalism, I was delighted to discover Pete Hamill's candid tale, robust and surly - an account that carries the reader through his lushly-detailed memoirs that began in blue-collared Brooklyn. His tale is rich with the nostalgia of days long past - marbles and stickball, Milton Caniff, Captain America, and the city Athletic League. 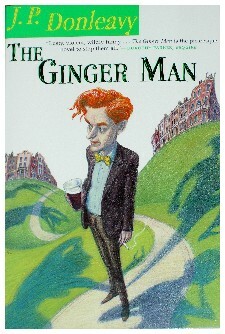 He details his own lack of connectedness with an alcoholic father he longed to love and vowed not to imitate, only to fall prey to the same lure of the bottle. 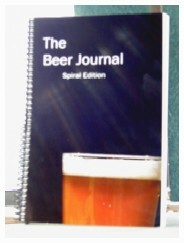 in a concise format for easy reference while you are enjoying each beer style. You may wish to add a bit of class when serving beer. This classic set is a great starting point. You may also wish to seek out Stemmed Pilsners or Wheat Beer Glasses before expanding to Champagne Flutes or Digestive Glasses. Keystone Homebrew Supply Inc. - Absolutely the best of the best! Online shopping plus two store locations in Pennsylvania, USA! Homebrew supplies, beer signs, steins, bar equipment, and keg equipment. "How to" articles online, Homebrew Club and great Newsletters! 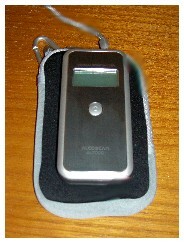 For complete information, Click Here!